Rex and I at the Ellisforde Church of the Brethren in Tonasket, WA, August 24, 2014. 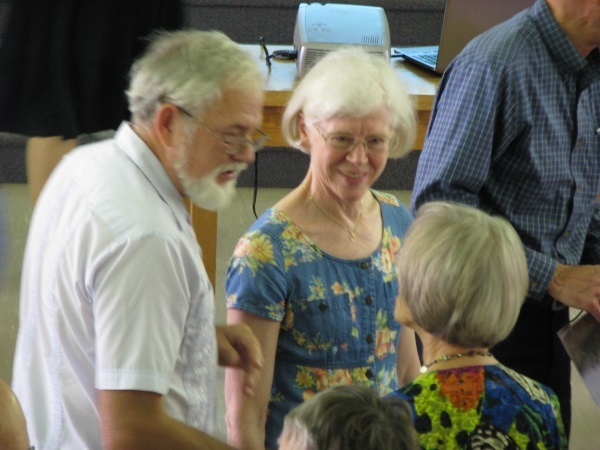 Rex and Peggy Reiff Miller at the Ellisforde Church of the Brethren in Tonasket, WA, August 24, 2014. They are looking so good! I was under their “camping” leadership in the 1970’s. first as a camper and then a counselor. Great man and woman of God! What I learned at Camp Ithiel prepared me for what God had in store for my life! Thanks for your kind words, Deanna! I’ve passed them on to Rex. Our time at Camp Ithiel prepared me for much that followed, too! Blessings to you.